We stopped to give ‘Billy’ his bath today. We have now completed just over 3500 miles and been on the road properly for 6 weeks. 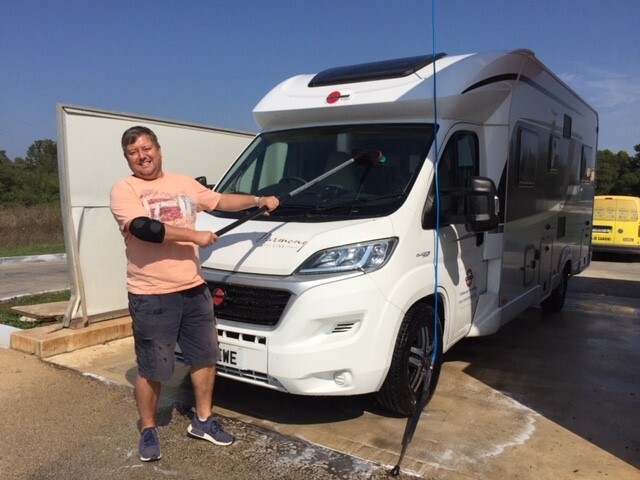 Our gorgeous motorhome was looking dusty and needed a spruce up. We haven’t left it this long on purpose. 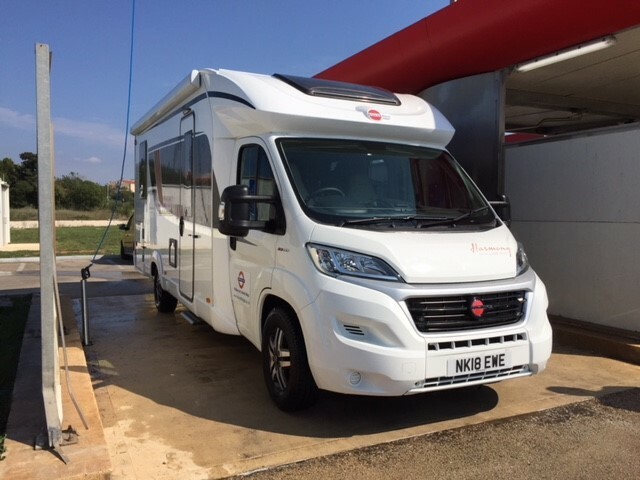 Every jet wash we have found recently has been covered and we have been concerned that we wouldn’t be able to get our beloved motorhome in or if we did we would get stuck! Today was our lucky day and 25 minutes later ‘Billy’ Burstner was looking smart again.